FAYETTEVILLE, Ark. – Head coach Courtney Deifel has announced the addition of Danielle Gibson to the Arkansas softball roster. The Murrieta, Calif., native spent last season at Arizona State and will join the Razorbacks as a sophomore. 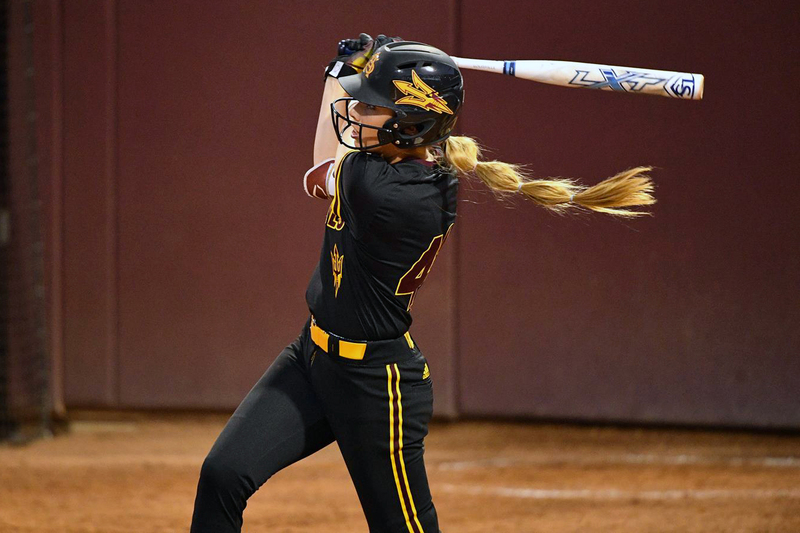 In her first season as a collegiate athlete, Gibson was an everyday player for the Sun Devils, playing in 59 games with 58 starts. She registered 57 hits with 27 runs scored, 12 home runs, 39 RBI and 12 doubles. She led the team in home runs (12), doubles (12), extra-base hits (24), slugging percentage (.633), while her on-base percentage (.417) and RBI (39) ranked second and her batting average ranked (.343) ranked third. She had 16 multi-hit games, and recorded multiple home runs in two games last season. Gibson burst onto the scene last season, recording 14 hits through the first month of the season, including recording hits in 19-of-21 games from Feb. 23-March 31, going 29-for-60 and boosting her average to .432 during that time. For her efforts, she was one of three freshmen to be named to the All-PAC-12 First Team in 2018, in addition to be named to the All-PAC-12 Freshman team. Announced in April last season, she was one of 25 candidates for the Schutt Sports / NFCA Division I National Freshman of the Year. Additionally, Gibson helped lead the Sun Devils to the NCAA Women’s College World Series last season.